Today we met Caitlin and Dario for breakfast at Allen’s an international food market and deli. The food was really tasty and not what we normally get. 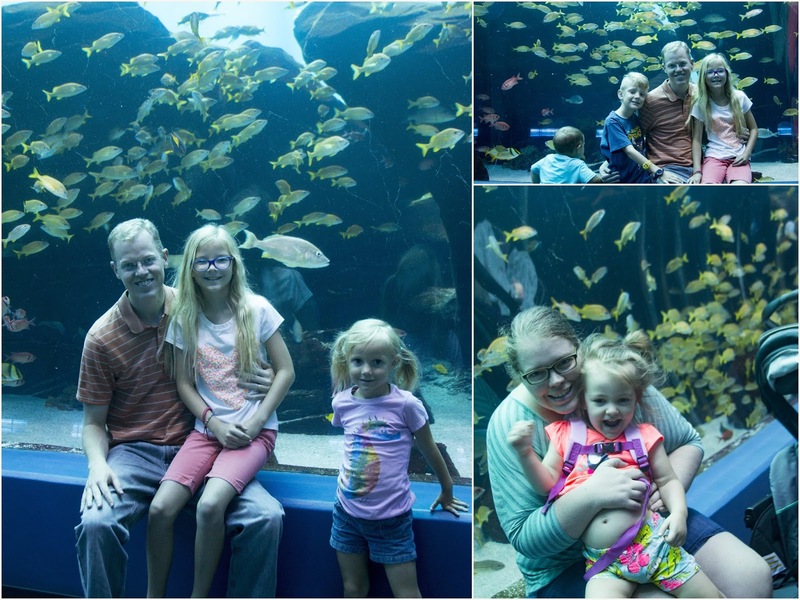 Dario just received his CPA license in the mail yesterday, and he had to take another test for work so Caitlyn dropped him off and met us at the Atlanta Aquarium. It is quite the place. 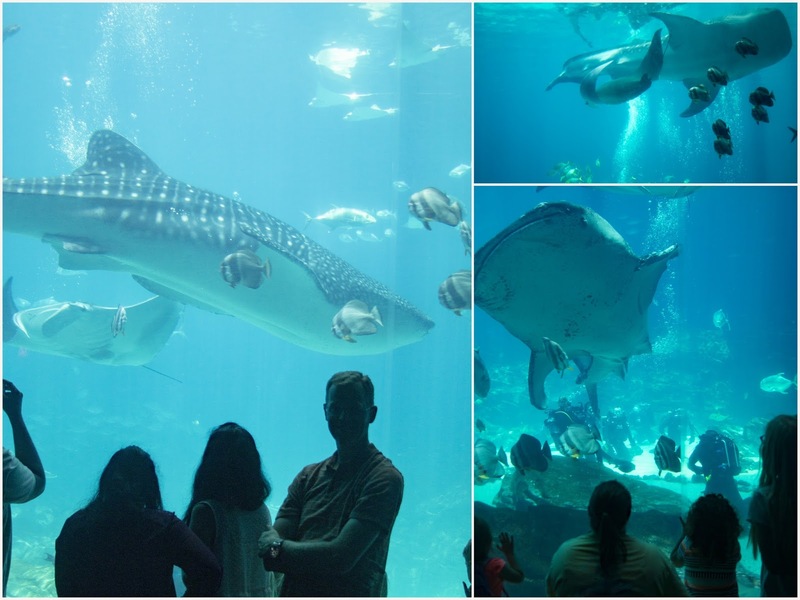 It used to be the largest aquarium in the world until 2012 when Singapore built a larger one. It is still an amazing place to visit, and EXPENSIVE!! The adult entrance fee is $35+tax. 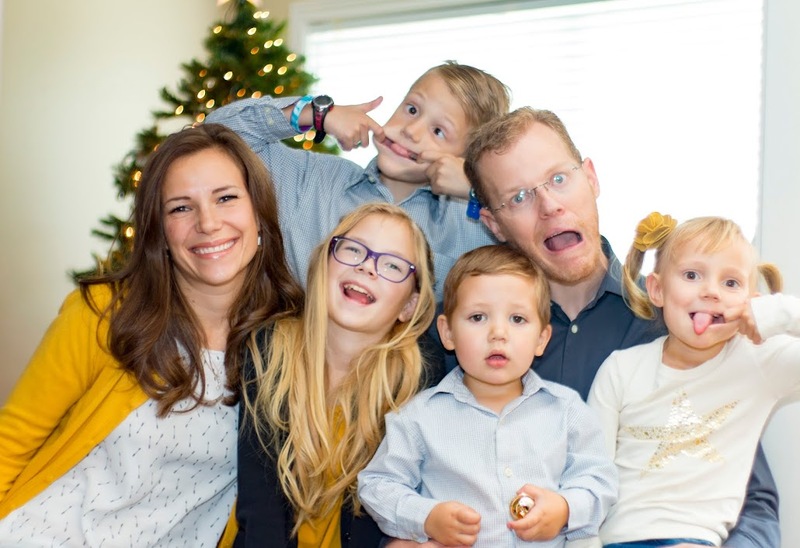 Kids are not much cheaper. We ended up spending close to $200 dollars just to get in and look at sea life. After dealing with downtown traffic, and parking garage traffic we finally were able to enter the aquarium after 11:30am. The aquarium is the most popular destination in the city, so it was not surprising that we were able to find license plates from places as far as California (across the country from Georgia), as we wound our way up in the parking garage. The aquarium is set up as spokes on a wheel. There is a center lobby area. Various water habitats are replicated in the different exhibits. We began in the Tropical Diver area. The garden eels were a popular sight with the kids. They resembled worms sticking out from the ground. Jelly Junction was another fun place. 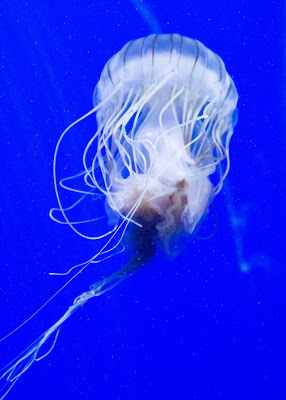 The jelly fish seem very fluid in their motion. I wonder how they keep their strings untangled? The kids recognized Nemo and Dori from the Disney movie Finding Nemo in the clown fish exhibit. 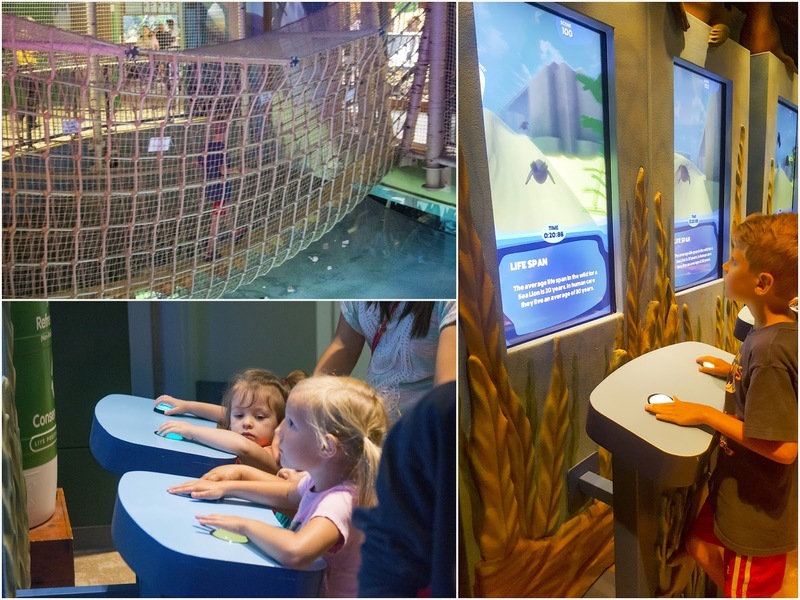 The Pacific barrier reef habitat was made to simulate an actual barrier reef. Life corals make up a fourth of the exhibit, this is the second-best tank in the aquarium. 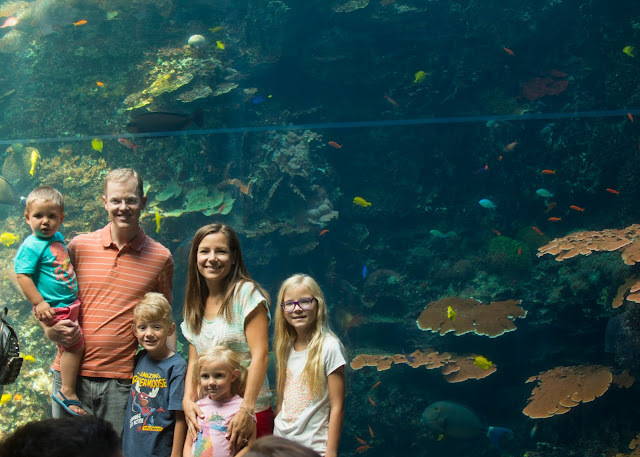 The tank occupies the entire room and is a long single window which curves near the top and extends above visitors, forming a shelf of water that some of the larger fish and sharks explore. Every few minutes a wave breaks over the reef forming bubbles and waves visible above head. Next we visited the Ocean Voyager area composed of a single tank holding six million gallons of the aquariums eight million gallons! We walked down a dark hall way with multiple window viewing into the large tank. We spent several minutes admiring several different types of sharks and stingrays larger than Stella float by. At the end of the hall is a long cylindrical glass tunnel. We hopped on a moving walkway which moved people through the tunnel. Finally, we reached the main viewing area which comprised a large tiered floor with a seamless floor to ceiling window where we several whale sharks and manta rays swam gracefully by. Whale sharks are considered the largest fish in the world. The ones at the aquarium measured up to 30 ft in length and weighed over 1,500 lbs each. The two manta rays we saw were huge. Much larger than I had imagined them, we learned that an adult manta rays ‘wingspan’ can be up to 20 ft long. Little Iris was hungry so we took Addison and went to the Sponge Bob SquarePants 4D movie. It was fun with the typically gimmicky 3D objects flying out of the screen into the audiences faces. They had bubble, seat rumblers and sprayed mists of water for the 4D experience. Andrew would reach out and try to touch anything which seemed to come off the screen and float mere feet from our faces. We spent some time in the kids discovery area. Carson was attracted to their electronic interactive learning games. We lucked out and happened to be by the opening of a rope bridge just as they started letting kids through so the older ones were able to go across without having to wait in a line. Afterward we visited the Cold Water Quest where the kids were able to see penguins. 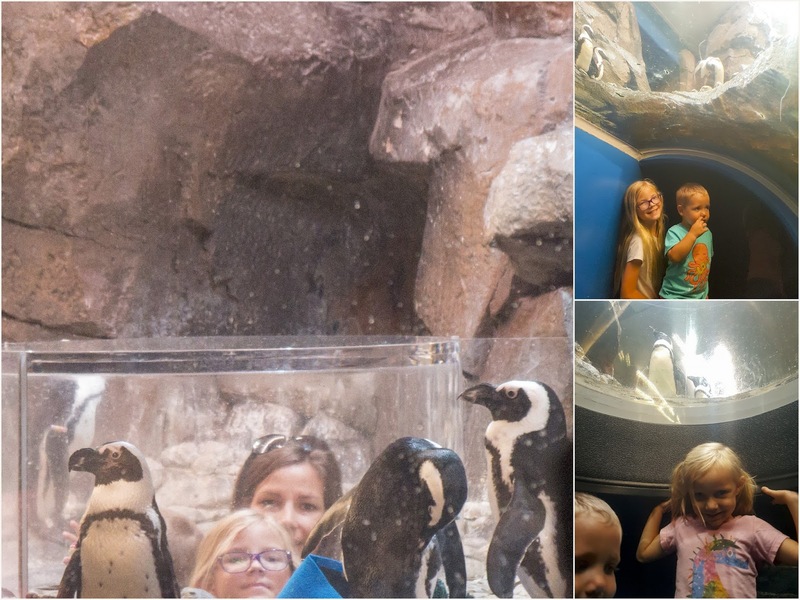 Romy and the kids crawled along a short passage way that traveled underneath the penguin exhibit with lookout windows that offered close up views of the animals. The last area of the exhibit was a two story high tank with beluga whales. The one we saw kept scratching its tummy against the glass. By this time the kids were starving and Dario was done with his exam, so we left the aquarium and had lunch in the car, while Caitlin went to get Dario and headed over to Jump Jump to get ready for Addison and Andrew’s birthday party. We had less than an hour left to see the rest of the exhibits. 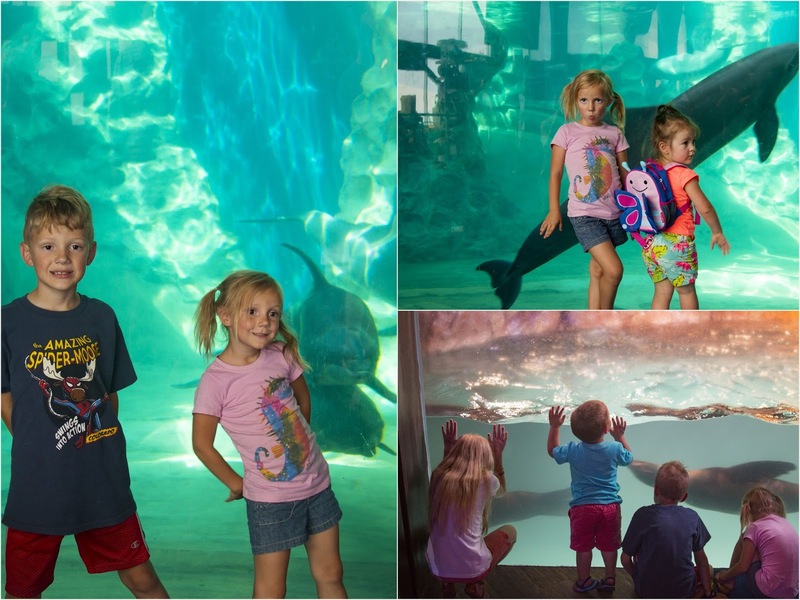 We weren’t able to see the dolphin or sea lion shows, but were able to glimpse at both animals swimming in the tanks. 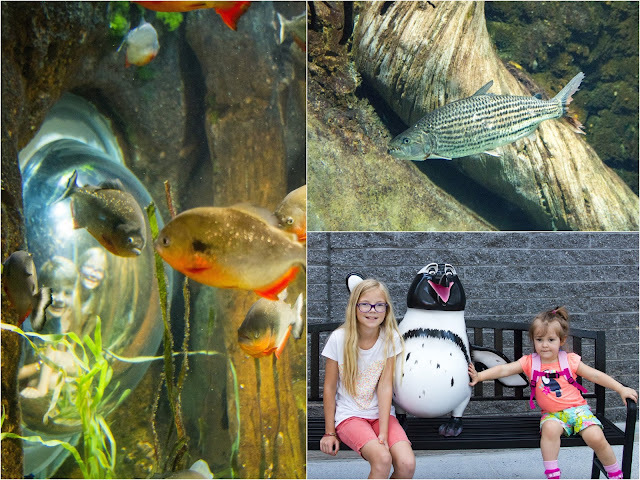 We spent the reminder of our time in the River Scout section where we saw albino alligators, red piranhas, turtles and otters. 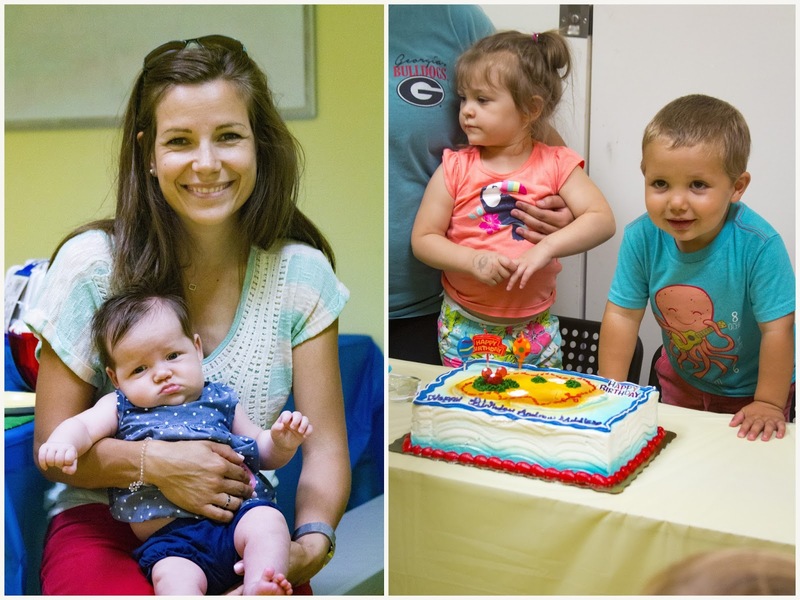 After hitting the gift shop, we joined Dario and Caitlin at an indoor trampoline and bounce house facility where they had rented out a room to celebrate the kid’s second birthday. Caitlin’s sister, Francesca, met us there and brought us food from a local popular barbeque place. Dinner consisted of traditional southern food: pulled pork, chopped brisquet, mac n cheese and potato salad. All were delicious. Surprisingly, the kids still had energy and jumped and played the whole time we were there. Once done, shortly after 7pm we drove back to our rental home and got to visit with my mom, Evita for about an hour. The kids were really excited to see her. They had been asking when we were going to see her, since we landed.